YouTube presents various wonderful videos and also brings you a collection of the finest music videos categorized by popular channel and music type. You can enjoy the best free YouTube music videos online. Here comes the question: Have you ever tried to record audio from YouTube on Mac? How does it feel? Below are some feasible methods you can take to use. Audacity is a bit complex to handle if you are not a skillful audio recording expert. Luckily, you still have Aimersoft YouTube Downloader for Mac. It can grab YouTube videos and extract its audio and save it as MP3, WAV, MKA or M4A file format on Mac. No any difficult, complex procedures included. 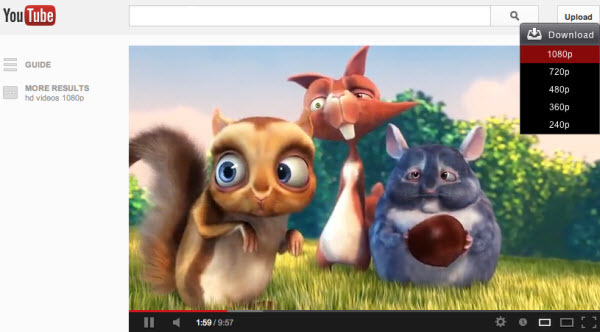 Just with a few simple clicks, you can record and save audio from YouTube videos. The embed player allows you to listen to the music or audio dub as you like. Manage the downloaded video is also a feature that Aimersoft YouTube Downloader for Mac offered. If you are using Windows-based computer and looking for tools to record audio from YouTube videos, just have a try on Aimersoft YouTube Downloader for Windows, which is an integrated YouTube video downloader, YouTube Downloader (for Windows). Click the big Download link to download and install the proper version of YouTube video downloader in your computer. Note that the screenshot below are taking from the Mac version. Search for the video that contains the audio you want from YouTube and play the video. As you can see, there will pop up a Download button and click it to start downloading the YouTube videos. Tips: You can also copy the video URL and then click the Paste URL button in the window of this program. Directly drag and drop video URL into the window can also launch the downloading process. Switch to the Downloaded tab and choose the video that contains the audio you want. Click the Convert button beside it and choose an audio output format, for example, MP3, and click "OK" to start capturing audio tracks from YouTube videos. 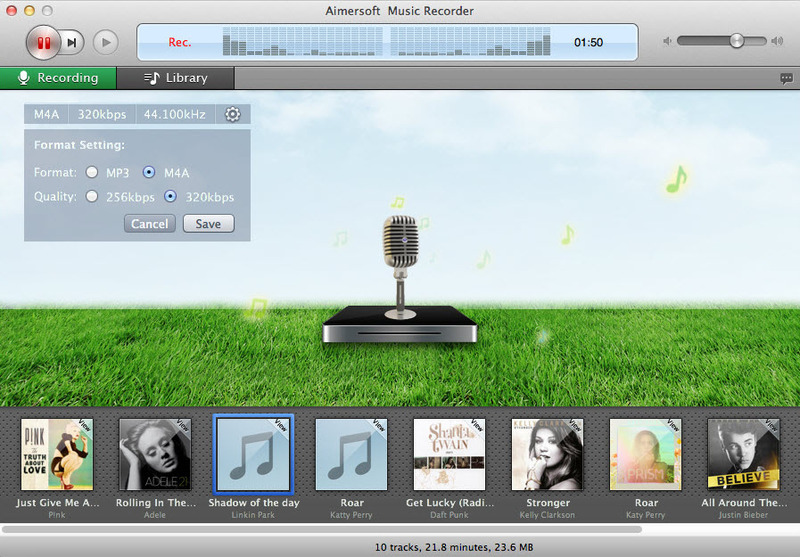 Anothe way to record audio from YouTube is to take Aimersoft Music Recorder for Mac to use, which can performs excellent recording task on Mac OS X (Mavericks included). It can record any online music with only a simple click. You don't need to do any conversion and no need to install any downloading plug-ins. Besides, it will auto-identify music tags for you. And evry music recorded is separated perfectly between each other since this music recorder contains the auto-split functions. It can cut songs when the silence time running to a certain value. It will also filter out boring ads. All songs recorder are pure and clear of extra noise. The Windows equivalence is Aimersoft Music Recorder. Below is the interface of Aimersoft Music Recorder. To record music from YouTube, just click the Record button and start playing the songs or music video. Music Recorder will do all the rest for you. Yes, there are many YouTube audio recorders available on the market. Audacity is one of them. It is a free audio editor and recording program which runs on multiple platform including Windows, Mac OS X, Linux and more. 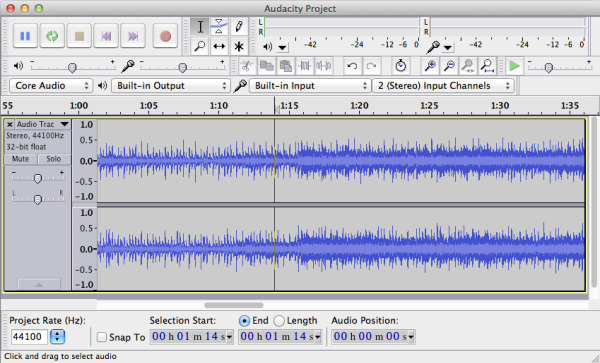 Besides recording audio from various sources, Audacity is also good at post-processing of all kinds of audio. For example, podcast by adding effects like normalization, trimming and fading in and out. Audacity can also be used to record and mix entire albums. Though it is a professional audio recorder, it is too complicated for all users to handle it. In this case, Aimersoft YouTube Downloader for Mac and Music Recorder for Mac are highly recommended to record audio from YouTube on Mac OS X (Mavericks). Easy-to-use Mac video downloader to download video from YouTube, VEVO, Hulu and more on Mac. How to Download Ringtones for iPhone X, 8 Plus, 8, 7 Plus, 7, 6s, etc.